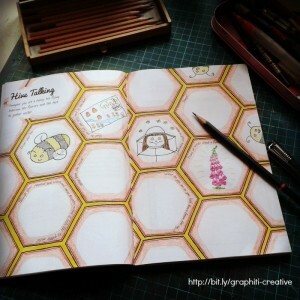 Craving a creative moment and not sure how to get started? In this world of endless emails, schedules and constant demands, it’s easy to lose touch with our creative heart. 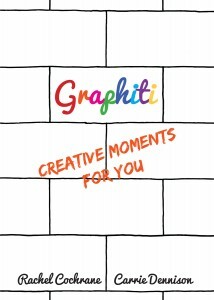 So take a digital detox and discover you inner child with Graphiti. 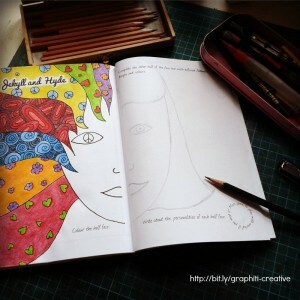 Go on, give yourself permission to draw, colour, doodle and write just for the fun of it with our bite-size activity book for adults. No previous creative experience necessary! Rachel Cochrane, a Writer of 14 years has been involved with many creative projects including writing workshops, exhibitions, writing competitions, producing podcasts Visit her writing events page for workshops and retreats. Carrie Dennison, who runs regular art and print making workshops and has been involved in exhibitions, collaborative art projects and teaching. Visit her dendryad website for online tutorials and videos.